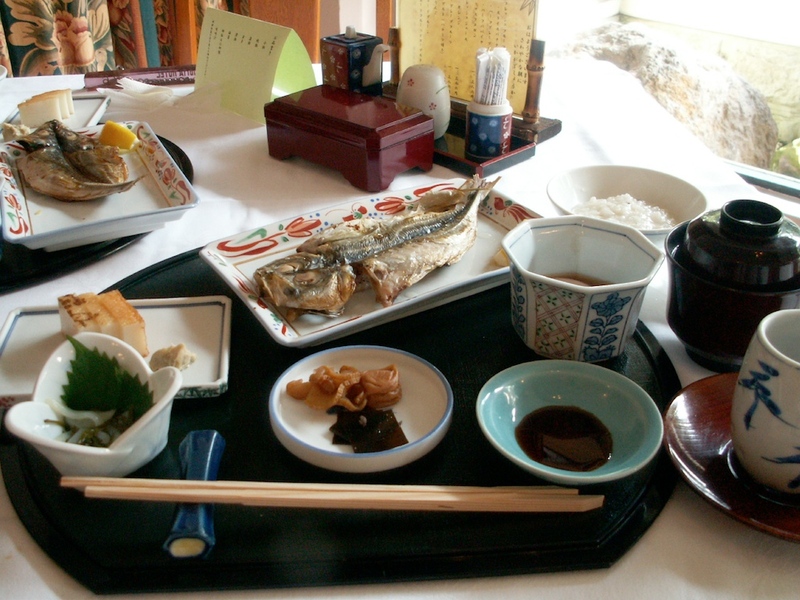 The classic Japanese breakfast – dried fish, dried scallops, daikon cake, pickled squid intestines, umeboshi (pickled plum), kombu, rice porridge and tea. A valid question! In all the countries I’ve ever visited you can find a mix of Ameri-Euro-esque dishes, along with fruits, breads and of course both local and French pastries with coffee (often from Starbucks) but the foods traditionally eaten in the morning aren’t much different than during the day. 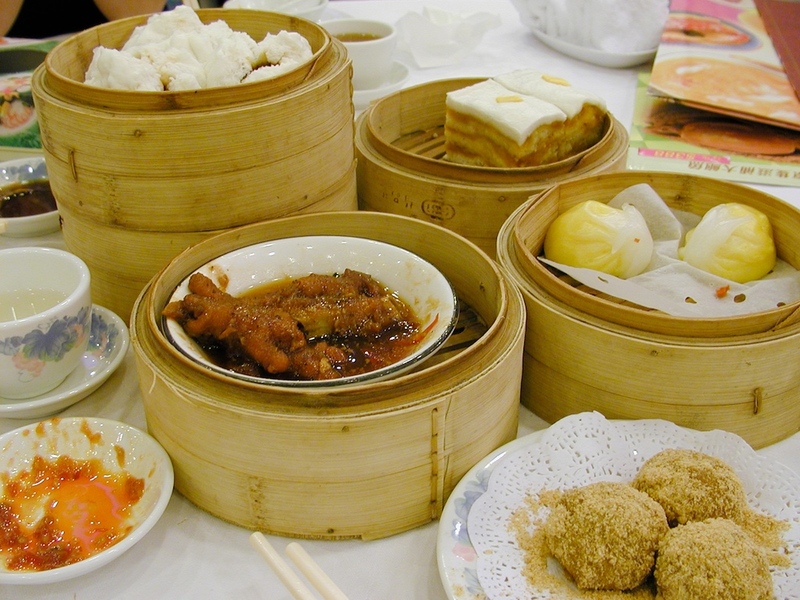 Dim Sum is a favorite in Hong Kong, especially on weekends when time can be taken to savor with friends. Congee (rice porridge), soup or fried rice are popular breakfasts in China – but I’ve also enjoyed chicken feet, savory donuts (not sweet) , stir fry and French Toast with peanut butter and sweetened condensed milk – pretty good actually! Soup is a biggie for breakfast in Asian countries, and you know Mom always said, “Soup is good food!” The best Asian breakfast I can think of in the Denver metro area is Pho – and most Vietnamese Pho restaurants open at 9 am. Darn good on a cold morning I say! 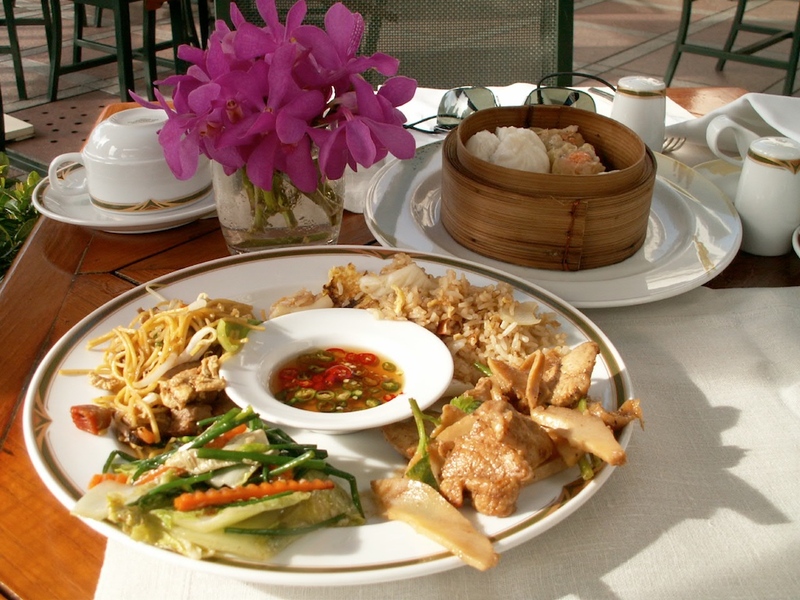 A lovely selection at the Peninsula Hotel in Bangkok – stir fried noodles, fried rice and both a veggies and chicken stir fry. At a high end hotel like this you can also get a Continental breakfast and classic Chinese breakfast. The moral of the story is, you don’t always need to eat breakfast foods for breakfast. At my house, breakfast is usually leftovers from dinner. They’re fast, healthy and satisfying – what more could you ask for? Now don’t get me wrong, I love eggs, bacon and pancakes, but only on special occasions – I’ve got to watch that girlish figure don’t ya know! Leftovers never tasted so good as they do at breakfast! 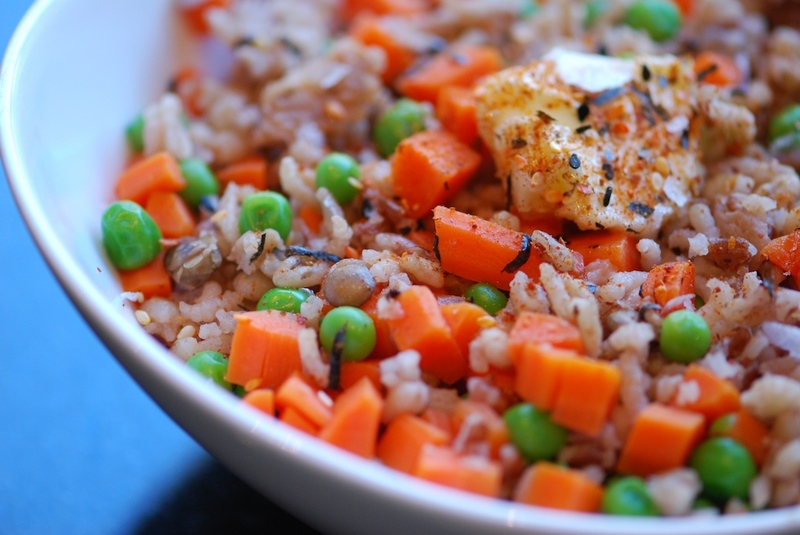 This is a combination of side dishes from two meals… barley, whole grain red rice, white rice, and lentils tossed with peas & carrots. Top it off with a dab of butter, a sprinkle of my Taste of Tokyo Rub and flakes of sea salt, two minutes in the microwave and I’m eating! A particularly healthy and easy side dish. Place carrots in a pot with water and salt, bring to a boil and simmer for 5 minutes. Add peas and simmer about 5 minutes longer or to desired texture. Drain and serve with salt, pepper and butter to taste.